This article was written for Radwaste Solutions by AGT President and Founder, Angela Eliacostas. Reprinted with the permission from the Spring 2017 issue of Radwaste Solutions, © 2017 by the American Nuclear Society. Transporting radioactive materials is a process that is watched very closely by both federal agencies and the parties responsible for the safe shipment of inherently dangerous materials. About 20 million consignments of all sizes containing radioactive materials are routinely transported worldwide each year on public roads, railways and ships. If not managed properly, the transportation of hazardous materials can result in accidents and spills, monetary damages, injury and even death. According to the Pipeline and Hazardous Materials Safety Administration, in 2016 alone, more than 5,000 incidents have occurred during the transportation of hazardous materials resulting in more than 46 million dollars of damage, 30 injuries and five fatalities. From a third-party logistics perspective, this job requires an immense amount of knowledge and expertise in order to move radioactive cargo safely and efficiently – keeping the utility world turning. There are many contributing factors to be considered when transporting contaminated materials – insurance and liability, regulatory restrictions, carrier qualifications, safety protocols and more. For a third-party logistics provider (3PL), insurance and liability can sometimes present unique challenges. 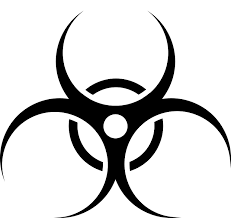 In order to transport hazardous waste and/or contaminated materials, there are significant premium increases that 3PL’s need to manage and take into consideration throughout the freight-forwarding quotation process. There is an important distinction made between actual spent radioactive waste and materials that have been contaminated, such as tools and equipment used in nuclear plants. In order to be certified to transport radioactive waste and/or contaminated materials, 3PL’s must retain a special insurance policy dependent upon a class system created by the Nuclear Regulatory Commission (NRC). When transporting materials that are inherently high-risk, liability is also something that 3PL providers and freight forwarders must understand well. If a carrier takes a shipment without the proper documentation, the 3PL provider is liable, and must be ready to assume responsibility for any fines or damage. The 3PL provider is also liable for any equipment lost or damaged during transport. Due to the high stakes of hazardous material transportation, 3PLs and utility companies alike must establish a system of safety protocols to ensure the safety of employees, carriers and the general public. From documentation of materials handled to cleanup and security clearance, freight forwarders must adhere to all safety protocols. The majority of hazardous material transportation jobs begin and/or end at utility plants. Before any vehicles and equipment may enter or leave the “gated area” of a utility plant, it must be searched extensively to ensure there is no trace of contamination. This process can take as little as a few hours or a full day depending on the size of the vehicle and trailer and material transported. Once this process is complete, it’s time to hit the road. The U.S. Department of Transportation (DOT) requires extensive documentation of all materials traveling on public roads. The only way for the DOT officials to know what is being transported inside a vehicle is by reviewing the shipping manifesto. These documents clearly specify what is being transported through a classification system of words and codes in compliance with the DOT. Shipping manifestos must be readily accessible to the driver and to emergency response personnel at all times. In the event of an accident, emergency officials are quickly able to understand the material being transported and take the proper precautionary steps. After transporting contaminated equipment and unloading materials, the vehicle and equipment must be inspected to ensure there is no residual contamination. This post-transport cleanup process is known as “Free release.” The vendor conducting the Free Release cleanup must be certified to do so and has final say as to whether the vehicle and trailer will be released for the next job. Beyond the vehicle and trailer, carriers must have all clothes laundered through a special process that targets and removes hazardous materials and accounts for the safe disposal of water used, keeping the carrier and his or her family safe. When transporting hazardous materials, 3PLs need to work alongside regulatory agencies and organizations to ensure the overall safety of all parties involved. The U.S. Nuclear Regulatory Commission (NRC) works to protect public health and safety, the environment, and our national security. Proper handling of nuclear materials helps to protect both the safety of the public and the plant workers. To achieve this, the NRC works with the U.S. Department of Transportation (DOT) and the Department of Energy (DOE). Together, these agencies help ensure nuclear materials are packaged and transported safely. The DOT coordinates with the NRC to set rules for the packaging of nuclear materials. The DOT regulates carriers, sets standards for routes, and is responsible for international agreements on the transport of all hazardous materials. Every two years, the DOT requires that carriers and 3PL providers complete mandatory hazardous training courses to renew their certification. When handling a radioactive shipment, 3PL providers need to thoroughly vet all carriers before enlisting their services. Currently, there’s a group of proven, trusted, and NRC certified carriers that are tasked with safely hauling contaminated materials. Common and contract carriers provide a service to others. They carry other people’s materials. Common carriers have published rates for hauling material, while contract carriers negotiate a specific contract with the shipper. 3PL providers work with both common and contract carriers. One of the challenges 3PL companies face when trying to transport radioactive is that not a lot of carriers will transport class 7 shipments due to the risk involved and lengthy regulatory process. As discussed earlier, the documentation and check-in/check-out process often takes many hours, sometimes even an entire day. This is something freight forwarders must take into consideration when planning and quoting a job for transport. One way 3PL companies choose carriers is by looking at CSA scores. 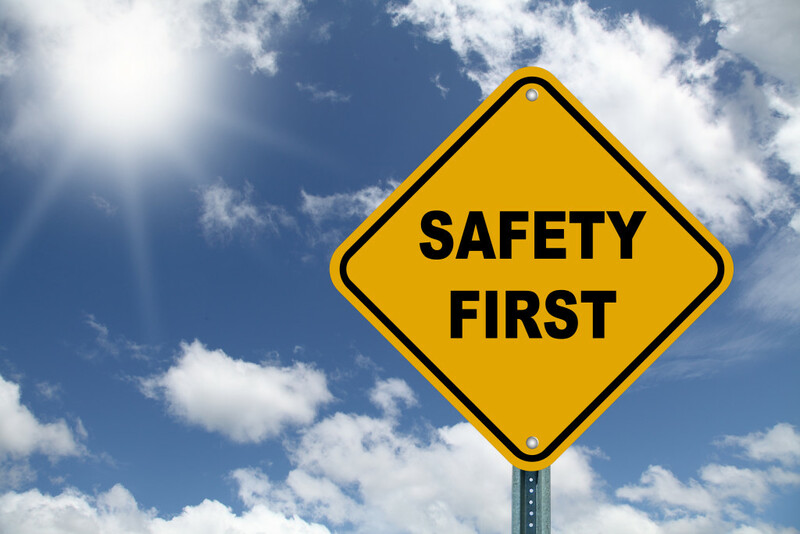 CSA stands for Compliance, Safety, Accountability, and is an initiative that was introduced by the Federal Motor Carrier Safety Administration (FMCSA) to improve the overall safety of commercial motor vehicles. Launched in December 2010, it is a safety enforcement program based on carrier performance and driven by the data collected on them. The CSA program is meant to allow the FMCSA to put a more intense focus on companies that pose the highest safety risks on the roads.The ultimate goal of the CSA program is to make the roads safer for both carriers and the public. To achieve this, both motor carriers and drivers are held accountable for their role in safety. So how are CSA scores calculated? A company’s safety data is collected from roadside inspections, crash reports, investigation results and registration details. All this data is then made available on the FMCSA’s Safety Management System (SMS) website, which is updated on a monthly basis. The SMS takes into consideration the amount, severity and date of any violations, inspections or crashes a carrier has been involved in. There is more weight given to violations that are more recent, and after two years violations are removed from the record. Also, crashes are weighted based on severity, so a crash involving a fatality or injury has more impact on your score than one that just required a tow. Unsafe Driving – Dangerous or careless operation of a vehicle including unsafe driving practices like speeding, improper lane changes and failure to wear a seat belt. Crash Indicator – History of crash involvement based on state-reported crashes. Hours of Service (HOS) Compliance – Incidents of vehicle operation by drivers who are ill, fatigued or in noncompliance with HOS regulations including driver log violations. Vehicle Maintenance – Mechanical defects and failure to make required repairs as well as improper load securing. Controlled Substance/Alcohol – Impaired driving through the use of alcohol, illegal drugs and misuse over the counter and prescription drugs. Driver Fitness – Vehicles operated by drivers who are unfit due to lack of training, experience or medical conditions. Having good CSA scores reduces overall involvement with the DOT, allowing carriers to get on with their day-to-day operations. By keeping good scores, they can greatly reduce fines and expect a lot less frequent or time-consuming roadside inspections. Angela Eliacostas, President and Founder, AGT Global Logistics. Specializing in service to the nuclear, fossil, and power industries AGT Global Logistics keeps their clients’ world’s turning with timely service, competitive rates, unstoppable customer service and a full menu of service offerings. Under her guidance, AGT Global Logistics has remained incidence free, since its inception in 2005. With more than 25 years in the transportation industry, Angela Eliacostas has worked her way from the ground up. Eliacostas is now a premier transportation contract negotiator and an industry leader in expediting shipments. 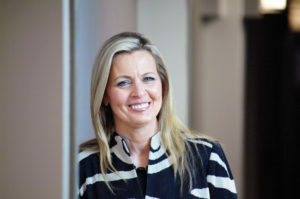 She serves as a liaison between carriers and companies, mostly within the utilities industry. Eliacostas is also involved in public affairs, lobbying alongside utility companies, petitioning for the use of nuclear power as a safe, reliable energy source. Eliacostas has been recognized for making AGT Global Logistics one of the top 50 woman owned businesses in Illinois and one of the 500 woman owned businesses in the U.S. for the last 2 years running.